Rectangular back, padded & upholstered arms, cushioned seat. Frame of acanthus and bead ornament. Bell-flowers in flutes on tapering legs. 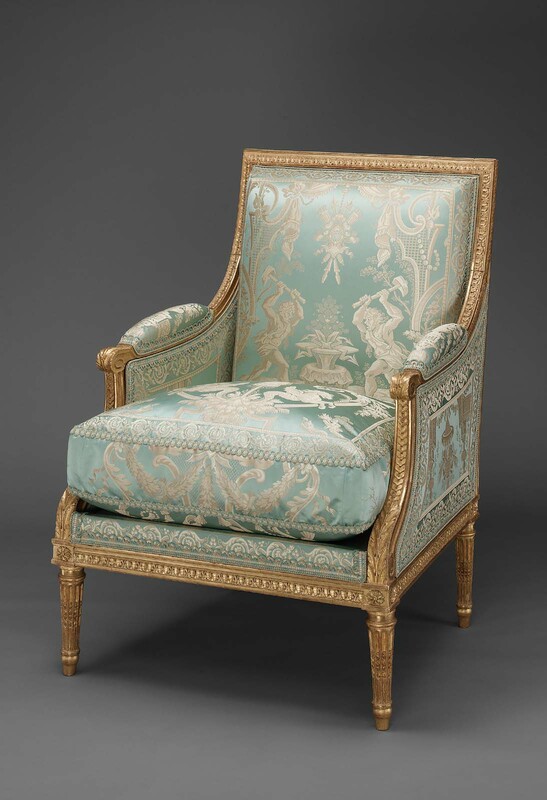 see label found on the bergère and Howard Rice, "Notes on the Swan Furniture," MFA Bulletin, Vol 38, p. 36-48. After the downfall of the monarchy on August 10, 1792, Thierry was imprisoned and his belongings were seized. 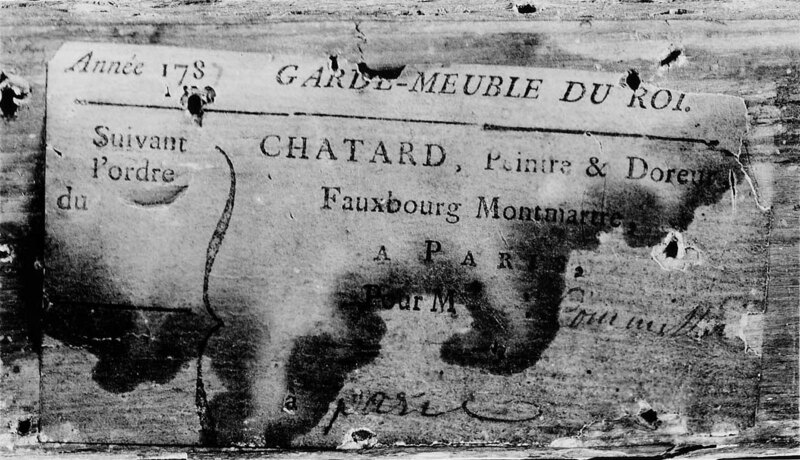 He died in the massacres at the Prison de l'Abbaye in September, 1792. James Swan was a merchant established in Paris, and was appointed an official agent for the purchase of supplies in the United States in 1794 by the French Government. His partner was Johann-Caspar Schweizer, a Swiss. According to Howard Rice, the French Government placed at his disposal luxury goods to be exchanged in America for food supplies and war materials. The Swan and Schweizer agency shipped these articles to the United States between 1794-1795, where much of it was sold. However, this piece was among those that Swan kept for his personal use. See H. Rice "James Swan, Agent of the French Republic 1794-1796" The New England Quarterly, Vol. X, No. 3, Sept. 1937, p. 464-486. The three daughters of James and Hepzibah Swan were Mrs. John T. Sargent, Mrs. William Sullivan, and Mrs. John C. Howard, all of Boston, MA.